Hollywood stars including Rob Lowe, Josh Gad and Lin-Manuel Miranda reacted Thursday morning to the deadly shooting in Thousand Oaks, California near Los Angeles that killed 12 people at the Borderline Bar & Grill. The suspect, who also died, has been named as 28-year-old former Marine Ian David Long, Ventura County Sheriff Geoff Dean said in a news conference early Thursday morning. Thousand Oaks is located 40 miles northwest of Los Angeles in the foothills of the Santa Monica Mountains close to Malibu, where many members of the entertainment industry live. It is a quiet, residential community where violent crime is rare, according to CNN. 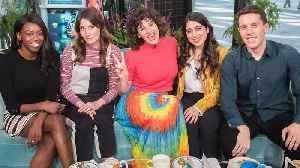 Several of the celebrities are calling for greater gun control and using the hashtag #GunControlNow in addition to Thursday’s trending topics “Thousand Oaks,” #BorderlineShooting and #MassShooting. Jared Goff, quarterback for the Los Angeles Rams, whose training facility is located in Thousand Oaks, also tweeted his condolences to the victims. The team also released a statement offering their sympathy for the victims. “The Los Angeles Rams organization is heartbroken by the horrific shooting that took place last night in our community of Thousand Oaks. Our thoughts and prayers are with the victims, their families and our entire community,” it said. 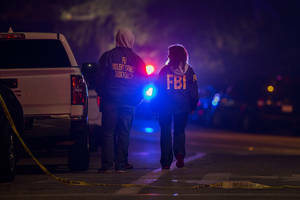 Local police first received calls of shots fired at 11:20 p.m. PT and responded to the Borderline Bar & Grill, where a college country music event was taking place. Rob Lowe posted a tribute on Instagram to the police office killed in the attack. #GunControlNow will not happen until Democrats control both the House AND the Senate. You may say I'm a pessimist. I think I'm a realist. I am so utterly exhausted. How much more can our souls take? How much more must we choose guns over lives?????????????!!!!!!!!!!!!!! 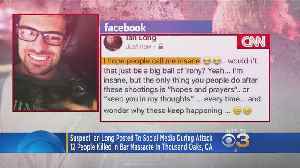 Twelve people were killed in bar massacre in Thousand Oaks, California.